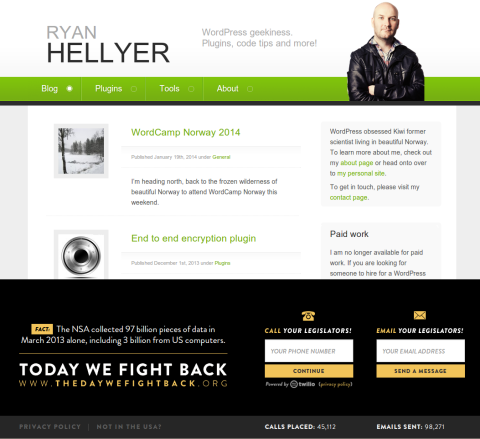 I’ve installed the The Day We Fight Back WordPress plugin here on geek.hellyer.kiwi. The plugin adds a simple banner to the bottom of your site, advertising The day we fight back on February 11th 2014. The Day we fight back, is a movement to protest government surveillance by the NSA, GCSB, GCHQ and other organisations conducting illegal surveilance. It is support for some big players in the IT industry, including WordPress.com, Google, Reddit, Tumblr, Mozilla and Cloudflare. If you want to add your support, then go install the The Day We Fight Back WordPress plugin. 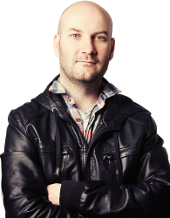 Thanks to Ryan Fugate for creating the plugin.